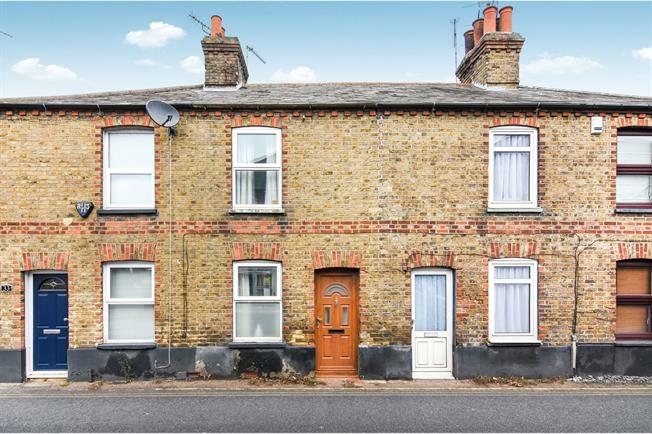 2 Bedroom Terraced House For Sale in Chelmsford for Offers Over £210,000. Two Bedroom Terraced Cottage | Shared Courtyard Garden | No Onward Chain | Ground Floor Bathroom | Great Access To The A12 | Feature Fireplace. Internally the property offers an 19FT LIVING ROOM with a FEATURE FIREPLACE, a fitted kitchen, a 9FT GROUND FLOOR BATHROOM and two bedrooms to the first floor. Externally there is a shared courtyard garden which can also be accessed from the rear.